Kate from our Take a Hike With Kate series is back today with hiking hydration tips and how she plans to stay healthy and hydrated while hiking Havasupai! It’s officially summertime in most parts of the U.S., but it’s exceptionally hot here in the desert southwest. I’ve been excited about my trip to Havasu Falls for a few months now, but with temperatures reaching 110 degrees in Phoenix, it’s hard to get jazzed about being outside. Even though northern Arizona is cooler than Phoenix, temperatures will still top out in the low 90s during our trip to Havasu Falls. This is great for swimming, but hard on hiking and climbing. Because the desert is so dry (we had a day last week with 2 percent humidity), it’s hard to know how much you’re really perspiring. 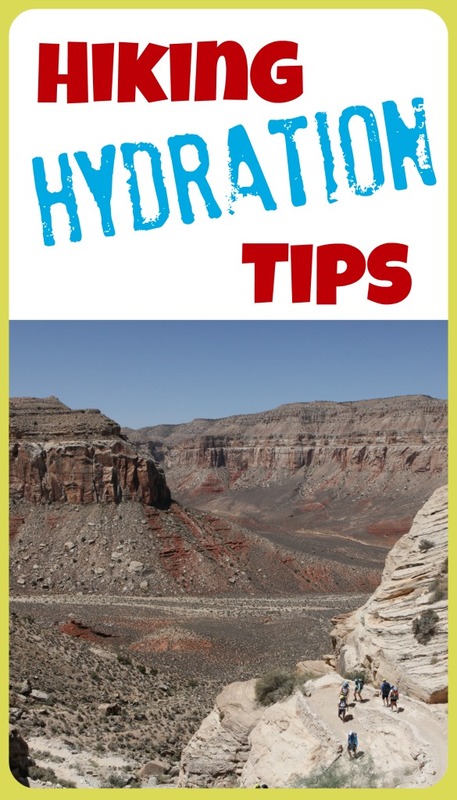 Here are some tips for staying hydrated I’ll be using during my time with Arizona Outback Adventures’ trip to Havasupai and Havasu Falls. 1. Start before you begin. I know the first rule: Drink water before you venture out, and be sure to eat something healthy with a bit of salt in it. 2. Get your electrolytes. Because we’ll be hiking for between four and six hours each day, I’ll be supplementing with Clif Shot Bloks, that provide electrolyte support. I’ll also have NUUN brand tabs to add to my water each morning. 3. Pack smart. I’ll also be carrying at least 3 liters of water, and I’ll be wearing breathable clothing, sunscreen and a hat. I’ll carry additional water when possible, to pour over my head — it sounds crazy, but it really does help. 4. Monitor your hydration. I’ll monitor my hydration level by checking the color of my urine. This is hard to do when using outdoor facilities but easy to do each morning when using indoor facilities. 5. Drink at night. Since we’ll be outside for many days at a time and not sleeping in controlled conditions, I’ll need to drink additional water, even though I might feel satiated. It will be cold at night (mid 50s), so I might not feel very thirsty, but it will still be very dry. 6. Eat water, too! Additionally, I’ll be trying to eat fruit with moisture and nutrients, like oranges, bananas, apples. 7. Start early and in numbers. The group I’m with will be starting our long hikes early in the morning to avoid being out in the heat of the day, too. Additionally, hiking with a group helps in monitoring each of our conditions and if someone is acting dehydrated or looks to be in distress, someone in the group is there to assist. Plus, our adventure leaders have experience in keeping everyone safe.